What it is: Lyft will be offering stock soon and they’re already looking towards the end of car ownership. At one time, the auto industry worked 24 hour in three shifts, making cars because people wanted mobility. While some people in cities relied on mass transit, most people in North America relied solely on owning cars to get them from one place to another. The problem with cars is the cost. It costs money to buy a car, it costs more money to maintain a car, it costs even more money to buy insurance and fuel for a car. As wages stagnant while car prices creep up, the cost of owning a car is starting to get higher than simply relying on other transportation services like ride sharing. That’s why Lyft’s IPO filing is crucial because it highlights the future. Lyft isn’t in the car business. They’re in the transportation business. That’s a crucial difference. It’s like the difference between Netflix and Blockbuster Video. Netflix wasn’t in the DVD business like Blockbuster Video was. Netflix was in the movie rental business. Right from the start, Netflix targeted streaming video but they relied on mailing DVDs in the meantime until the future caught up with their vision. The same is happening with Lyft. They know they’re in the transportation business whether it relies on cars, scooters, bikes, or other forms of transit. Car makers like General Motors and Ford have relied far too long on selling cars and trucks. Auto makers are even cutting back on cars and focusing on trucks and SUVs because that’s far more profitable. Yet the future is clear. Transportation is needed, not car ownership any more than people want to buy their own private plane to fly somewhere. Lyft, Google, Uber, and Apple are looking towards the future of self-driving, electric cars, and ride-sharing services. Focus on the future and you’ll wind up dominating it like Netflix. Focus on the past and you’ll wind up obsolete like Blockbuster Video. Ride-sharing may not replace car ownership today, but it will tomorrow and tomorrow is coming faster than you might think. Just ask Blockbuster Video. To read more about the future of transportation as a service, click here. What it is: Volvo has posted their vision for the future of self-driving, electric ride-sharing vehicles. The future is clear to see. In today’s world of automobiles, cars run on gas, need a human driver, and are most cost-effective when you own your own car. In the world of tomorrow, cars will run on electricity, be self-driving, and be most cost-effective through ride-sharing services. Today, car companies make money selling cars. Tomorrow, car companies won’t make money exclusively selling cars. That’s why General Motors is making a massive bet today by trimming their old business geared towards gasoline engines, human drivers, and car ownership, and pivoting towards the future of electric, self-driving cars where people rely on ride-sharing services. The future is clear to General Motors and other car makers like Volvo. The only question is whether that future is clear to everyone else. The problem isn’t that the future isn’t known. The problem is that people resist change and deny the future because they’re far more comfortable with the past. Think of all those gas station owners who make money selling gas with people stopping inside to buy snacks as well. Today, that’s a profitable business. Tomorrow, gas stations will be obsolete because there won’t be a need to go to a dedicated gas station to refuel your car when you could go to a shopping mall or restaurant to recharge your car through an electric station. Gas stations needed their own space because of the need for an underground gas tank. Electric stations are not hampered by such restrictions, meaning that they can be put anywhere such as shopping malls. Gas stations make money selling overpriced drinks and snacks because they have a captive audience that has to buy gas from them. When people no longer need to go to a gas station, they won’t need to buy overpriced drinks or snacks. That means the gas station business is doomed. That future is clear. The only question is when will it occur. It’s definitely going to occur but far too many people simply ignore the clear future right in front of them and cling to the past for far too long until it’s too late. By the time it’s too late, they act shocked that their life could be upended so suddenly, even though that fate was clear years ahead of time. Besides gas stations, parking structures and car dealers will also suffer. Why buy a car when it will be cheaper to rent one through a ride-sharing service? The taxi business is already dying thanks to ride-sharing services. Next to go will be the massive million dollar business of car insurance companies that will disappear when people no longer need to insure their cars. The ripple of change is clear for anyone to see. The people who refuse to act on this obvious change will be the ones who will suffer the most because they’ll be least prepared for a financial disaster that was years in the making and occurring right before their eyes the whole time. If you want to get smart, think of the future involving electric cars, self-driving cars, and ride-sharing services. That’s what General Motors is trying to do by shedding their old business of selling cars. The odds are against them shifting to a new business just like the odds were against Borders shifting to online books sales, Sears shifting to declining retail selling, and Blockbuster Video shifting to streaming video. The problem General Motors faces is that they can only devote part of their resources towards the future while their rivals can devote 100% of their effort towards the future. General Motors has to devote part of their resources keeping their old business model alive, which is like Kodak trying to embrace digital photography and maintain their film business at the same time. It didn’t work for Kodak and the odds are it won’t work for General Motors either. Volvo’s website envisions a future where you can hail a ride-sharing service to get a car that can take you to your destination. Best of all, rather than fight airport security, you can sleep in a self-driving car at night and wake up in your destination the next day at less cost and hassle than flying. The future is right before your eyes. The people who will thrive are those who can recognize this future. The people who will suffer will be those who deliberately choose to ignore the future because they don’t want to believe it will happen as fast as it will, and then they’ll be left wondering what happened after the future steamrolls them into oblivion. Ask yourself, which fate do you want for yourself? To see Volvo’s concept for the future of self-driving, electric cars used through ride-sharing services, click here. What it is: Electric cars are growing in numbers, which means traditional gas stations will soon become obsolete. Gas stations exist to help motorists refuse. You need a separate area for gas pumps because you need a large storage tank to hold all the gasoline. Then gas stations essentially became places to sell food, drink, and automotive services based on the need for space to hold a gasoline storage tank. Electric cars threaten all that. Gas stations may offer electric charging stations like gas pumps, but any other place can do that as well such as malls, coffeehouses, restaurants, and movie theaters. Unlike gas stations that need space for a large storage tank, electric charging stations don’t need anything more than a physical line to conduct electricity. That means electric charging stations can be put anywhere, not just in isolated areas like gas stations. That means as more people embrace electric vehicles, gas stations are obsolete. Instead of stopping to get gas at a gas station, electric car owners will be able to stop practically anywhere they like to get an electric recharge. Currently, people go to gas stations and shop for snacks from a limited selection at a high price. Tomorrow, electric car owners will be able to go to their favorite supermarket or shopping mall and choose from a much larger selection of options at more reasonable prices. The simple idea of electric cars will have a ripple effect on the rest of the car industry. Look for electric car charging stations to keep appearing in popular locations like shopping malls. Instead of looking for a convenient place to stop and get gas, electric car owners will first think about what type of food or entertainment they want, and then they’ll go to that location, skipping the traditional corner gas station altogether. Electric cars are coming with stronger batteries, faster recharging, and lower prices. Whether they’re self-driving or not is irrelevant, and whether their entertainment system inside is CarPlay or something else. As electric cars gain in popularity, gas stations will sink in relevance. If you currently own a gas station, now is the time to sell before it’s too late. To read more about the impact of electric cars, click here. What it is: Self-driving promise greater mobility, but their multiple sensors have a weakness; they need to be cleaned regularly. Every new form of technology has unintended consequences. When smartphones started to appear, people started relying more on their smartphone and less on their PCs to do tasks like instant messaging or getting driving directions. That’s because it was easier to use a smartphone since most people have their smartphone with them at all times and don’t always have access to a PC at all times. Of course the problem with smartphones is that people stare at the screen and walk into walls, traffic or off the edges of sidewalks. With the coming self-driving car revolution, there’s a huge drawback. Self-driving cars can only work using multiple sensors to detect other cars, pedestrians and obstacles in the road such as construction detours or junk that has fallen off a truck into the road. For self-driving cars to work, those sensors need to be kept clean so dust and dirt doesn’t obscure the camera or sensor lens, creating a false reading from the sensor. Think of snowbound areas like Minnesota or North Dakota where snow can cover an entire car and the road, making a self-driving car literally blind. For optimum use, self-driving car sensors need to be kept clean, and that requires constant maintenance. A dirty self-driving car risks having dirt cover up a crucial sensor. Rain, sleet, hail, or snow risks blinding a self-driving car’s sensor altogether. If a sensor can detect other cars, the road, or obstacles, that self-driving car will be driving blind and risk crashing into objects. That means self-driving cars may be limited by foul weather, which makes them relatively useless in areas that experience such changes in weather from rain and snow to sleet and fog. Ultimately, that means self-driving cars still have a long way to go. Instead of waiting for self-driving cars, it’s far simpler to rely on assisted driving technology that essentially uses self-driving technology but in conjunction with a human driver. Already today’s cars have cameras in the back to help you back up and avoid obstacles. Assisted driving technology will automatically brake to avoid collisions and provide aid to drivers in other ways such as alerting them to obstacles int he road or warning them when another car may be getting too close. Assisted driving technology is the stepping stone to self-driving cars int he same way that hybrid cars are the stepping stone to pure electric cars. To make the leap to self-driving cars is impossible and untrustworthy. To rely on assisted driving technology that gets smarter and adapts to foul weather is far more likely and much safer. Such a simple thing as cleaning a lens can make the difference between success or failure in a self-driving car. Until sensors get smarter at dealign with dirt and foul weather, expect self-driving cars to remain a niche product like electric cars of today. Self-driving cars are coming. They’re just not ready to take over the highways just yet. 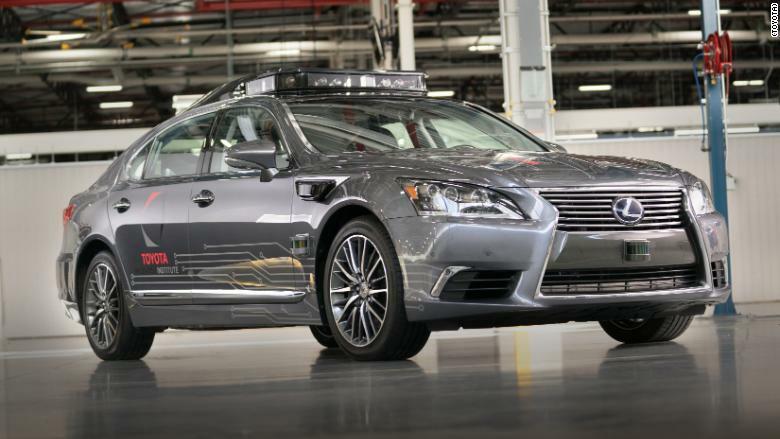 To read more about the limitation of keeping sensors clean for self-driving cars, click here. What it is: Self-driving cars will literally change the way society lives within a few decades. Every new form of technology changes society. The printing press made reading and distribution of information affordable. The telephone eliminated telegraphs and the need for Morse code. The personal computer helped kill typewriters and adding machines along with eliminating typing pools in large companies. Perhaps the biggest change coming soon will be self-driving cars. For ease of maintenance, self-driving cars will rely on electric or other forms of power rather than gasoline. That immediately jeopardizes gas stations and car mechanics trained to repair combustion engines. Self-driving ride-sharing services will kill the taxi industry along with the auto industry, not to mention the oil industries that feed oil to large numbers of vehicles. Air pollution from cars will be reduced and as more people have time to relax rather than drive, they’ll have more free time to watch movies, read books, or listen to the radio, so those industries should increase. Of course, people will also play more video games or just use their computers while riding to work, much like people do today while riding trains. Mass transit will be another casualty. Why take mass transit when a self-driving car can take you exactly where you want to go? Buses will likely lose riders along with light rail trolley systems just starting to gain popularity in many cities. People will likely rely on mass transit for long distance but ride-sharing for short distances. Truck drivers will largely be replaced by self-driving trucks. With so much change on the horizon, it’s obvious that the future is coming. The only question is when? if you’re currently in a business that relies on today’s gasoline powered cars, it’s time to look for alternatives. Whether you’re a car sales person, mechanic, taxi driver, or gas station owner, your future is in jeopardy. The smart people will make plans now while they have plenty of time to adjust.m Most people will simply ignore the future until they can’t ignore it any longer, and then it will be too late. Don’t be like the masses that blissfully ignore the future and then complain when it finally arrives. (Think of coal miners waiting for their jobs to come back.) Self-driving cars will revolutionize the future so make plans now to be one of the winners instead of the large numbers of people who will lose and whine for the past to come back and magically make their lives back to the way they’re used to. It’s not going to happen and it never will. If you still think so, then try starting a company making slide rulers or repairing typewriters to see how far you’ll get. To read more about the impact of self-driving cars, click here. What it is: Apple and other companies are researching self-driving cars, but the first step will be assisted-driving. Google, Apple, Microsoft, Tesla, and practically every big auto maker has been touting their research into self-driving cars. The problem with self-driving cars is that it requires a huge step to go from driving cars ourselves to trusting computers to drive cars for us. As numerous accidents with self-driving cars show, self-driving car technology is still evolving. While it may be possible to ride safely in a self-driving car, the data needed to help self-drving cars navigate safely is still lacking. Combine the early research of self-driving cars with customer reluctance to turn over driving duties to a computer and you can see that self-driving cars aren’t going to suddenly pop up and displace traditional cars any more than electric cars will suddenly displace gasoline powered cars. The transition from gas engines to electric engines is through hybrids. This gives people the best of both worlds for now with electric power working with gas availability to insure that hybrids use less gas than traditional cars but have longer range than electric cars. So what’s likely to occur in the near future isn’t the giant leap from traditional cars to self-driving cars, but from traditional cars to assisted-driving cars. In other words, people will still need to drive cars but computers can assist them and warn them of dangers. If the driver fails to slow down in time to avoid an accident, assisted-driving technology can step in and slam on the brakes automatically. Assisted-driving technology is nearly identical to self-driving technology but with the driver still in control. Assisted-driving technology will simply make the transition smoother for the general public still suspicious of self-driving cars. In the meantime, assisted-driving technology can still collect crucial driving data to get “smarter” about driving. Just as cruise control lets drivers avoid pressing down on the accelerator themselves, so will assisted-driving technology allow drivers to hand off tedious aspects of driving to computers. This will allow more data collection on real driving conditions while also improving safety. Seat belts and air bags protect passengers, but assisted-driving technology can help drivers avoid accidents in the first place by braking automatically or alerting drivers when obstacles are too close such as other vehicles. Many accidents occur when drivers simply fail to see danger such as a motorcycle coming from the blind side or another car suddenly running a stop sign or red light. Assisted-driving technology can spot such dangers in night, fog, or other adverse weather conditions. Even during clear, sunny days, people often miss dangers around them, which is where assisted-driving technology can alert a driver and help avoid an accident. When people trust assisted-driving technology more and more, it will be an easy step to transition to self-driving cars. So don’t look for self-driving cars to magically appear overnight any more than expecting electric cars to suddenly dominate the roads. Today, you see mostly gas powered cars with a lot of hybrids and far fewer electric cars. Tomorrow you can expect to see traditional cars with many more sporting assisted-driving technology and a handful being completely autonomous self-driving cars. The self-driving car future is coming, but the path to that future will be through assisted-driving technology first. To learn more about self-driving technology, click here.